Deep inside the longest and most majestic fjord in Europe – the Sognefjord – lies Eikum Hotel, centrally located by the idyllic Lake Hafslovatnet. 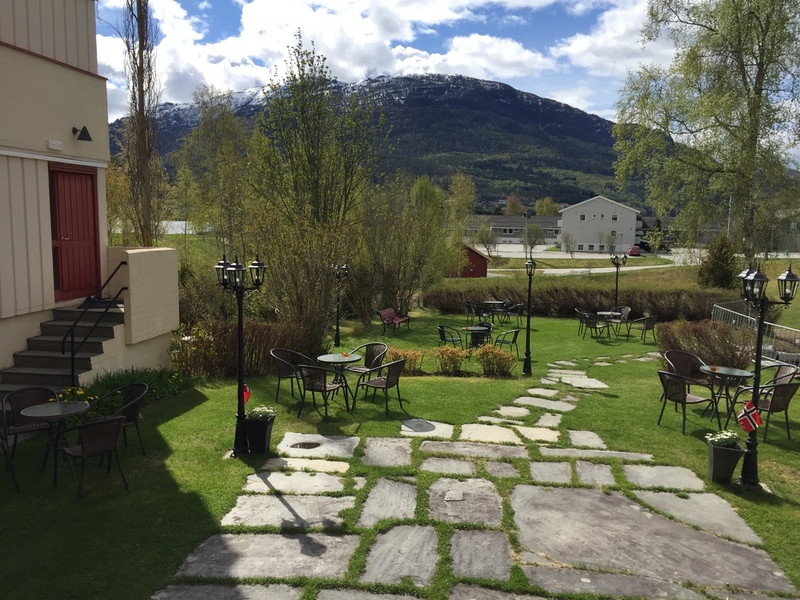 Eikum Hotel and the village of Hafslo are a great starting point for awe-inspiring outdoor adventures, with the Jostedalsbreen glacier and the Sognefjord as their nearest neighbours. Ever since it opened in 1919, the hotel has prided itself on its good food, personal service and homely atmosphere. Eikum Hotel has been in the same family ownership for almost a century, and its speciality, the famed “Heavenly Pudding”, is known across the world. For 80 years the hotel’s owners used the hotel van to take tourists to see the local attractions. Personal service remains the hotel’s trademark to this day. Guests will arrive to find a tranquil and relaxing atmosphere. Eikum Hotel has a large private garden as well as its very own beach, known as “Smeagarn”, located around 1 kilometre away. 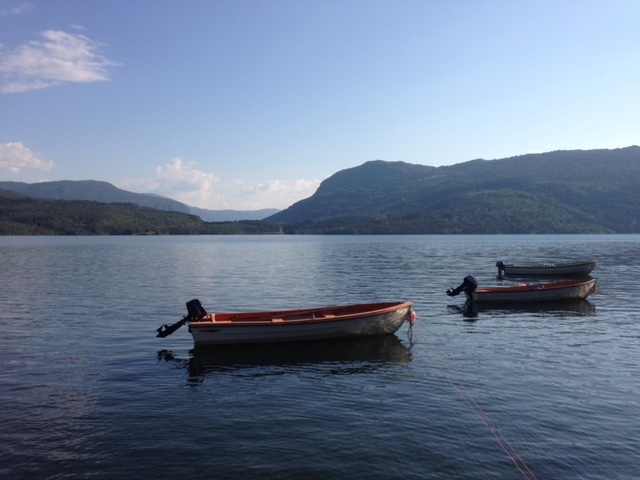 Lake Hafslovatnet offers good fishing opportunities, and resident guests are welcome to borrow a boat from the hotel. During the winter season guests can ski from Sogn Skisenter in Heggmyrane all the way to the doorstep of Eikum Hotel. See www.sognskisenter.no for more information. The hotel provides accommodation, it also hosts family parties, weddings, funerals, anniversaries, corporate events etc. Eikum Hotel has 55 rooms, all with mod cons such as free Wi-Fi and TV. We advise guests to book before arrival, at post@eikum.no or booking.com. The rooms are small and cosy with a personal touch.